With the increasing demand for computing power and space in the data center, server cabinet, network cabinet, server rack, and network rack are often used to hold networking hardware and assemblies in a data center. Well, among them, which one matches your needs best? It is thus essential to find the answer. What Are Server Rack And Network Rack? A network rack is similar to the server rack in sizes and shapes. It is also called relay rack or open rack. It is a metal frame chassis that holds, stacks, organizes, secures and protects various computer network and server hardware devices. Ideal for Cable Management – Since the rack can offer enough open space and easy access, it is convenient for us to install and manage hundreds or even thousands of devices and cables in the open rack. Insecurity – Anyone has access to the rack, so the equipment in the rack is lack of security. Exposed to Dust – The equipment mounted on the rack is exposed to the dust, debris, and other contaminants, which may cause the equipment damaged over time. What Are Server Cabinet And Network Cabinet? A server cabinet also called an enclosed rack, has removable front and rear doors, side panels, and four adjustable vertical mounting rails. 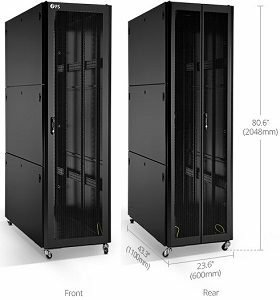 The standard data center server cabinet has a height of 42U (73.5 inches high). And for the most part, server cabinets are 24 inches in width, and 36 inches deep. Nowadays, server cabinets have gained much popularity in data centers and server rooms. A network cabinet is generally used for routers, switches, fiber patch panels, and other networking equipment. In most cases, a network cabinet is far shallower than a server cabinet, generally less than 31 inches deep. It sometimes has a glass or a strong plastic front door. 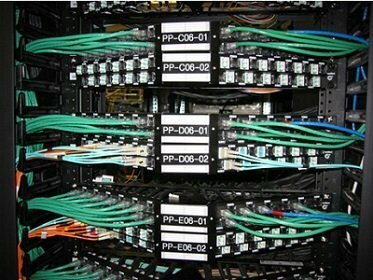 What’s more, the network cabinet also commonly do not have perforated enclosures. More Secure – Unlike the insecure rack, a cabinet can provide added protection. The cabinet can be locked, which might avoid visitors or other unauthorized people accessing the equipment. Added More Protection for Cables – With doors and side panels, the cables in the cabinet has much less access to outside air. So it can help the cables to reduce the risk of getting damaged by contaminants. Better of Air Segregation – Server cabinets are used by engineers to provide a variety of air segregation strategies, for instance, cold aisle containment, hot aisle containment, and cabinet-level containment. 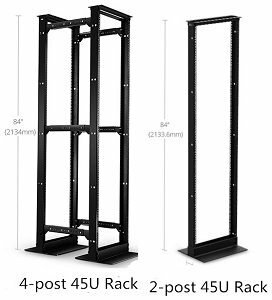 High Price – Compared to the rack, a cabinet is significantly more expensive. Uneasy Accessibility – Due to the restricted accessibility, it takes more time to do the operation or maintenance of the equipment in a cabinet. When you are designing a data center, deciding which server rack & cabinet or network rack & cabinet to deploy should be put at the first place. 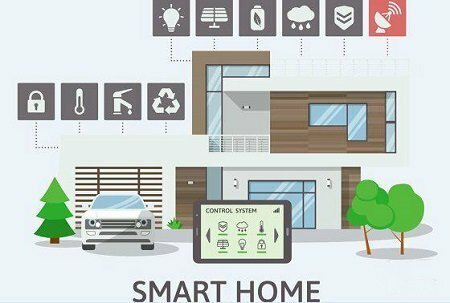 The right one that meets your installation demand can help you improve power protection, cooling, cable management, and physical security. 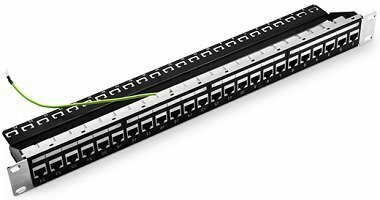 What Kind of RJ45 Patch Panel Should I choose?